Stansfield made the call in an interview with the News Agency of Nigeria (NAN) in Lagos. He said enforcement of the regulations would support professionalism and build the needed confidence in the standards as required internationally. According to Stansfield, the regulations for safety standards should be implemented to cover both offshore and inshore operations. “I’m going to say offshore enforcement of regulation should be taken seriously because that is where we work generally. But safety-wise, I will say inshore should be more regulated. “It needs to be across the board to set standards because the policing, as far as I am aware is done by oil companies. “I am not sure of the qualification of the inshore divers, but a lot of work goes on, but there is no regulation from government; just the oil companies and contractors themselves,’’ he said. 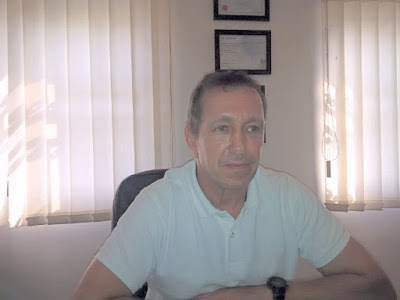 Stansfield said the diving industry had massive potential for job creation due to emerging projects in Nigeria and West Africa generally that require their services. He said the new projects would, however, require more training for the divers to fit into “saturation’’ diving level. NAN reports that saturation level in diving is when divers go beyond 50 metres under the water. “There is a massive potential in diving in Nigeria and a lot of big international companies are heading this way, trying to muscle in on Nigeria. “They are also pushing into West Africa as a whole because they see lots of work, lots of new fields, lot of developments going on. Stansfield advised that divers should get the International Marine Contractors Association (IMCA) qualification which is a world-class recognised certification in diving. He said that though the training abroad had been difficult because of financing, the Nigerian divers could benefit from a proposed training facility by the Nigerian Navy which needed private investment. He also pointed out that the only big robots known as Remote Operated Vehicles (ROVs) could dive beyond 300 meters in cases of rescue in sea accidents.